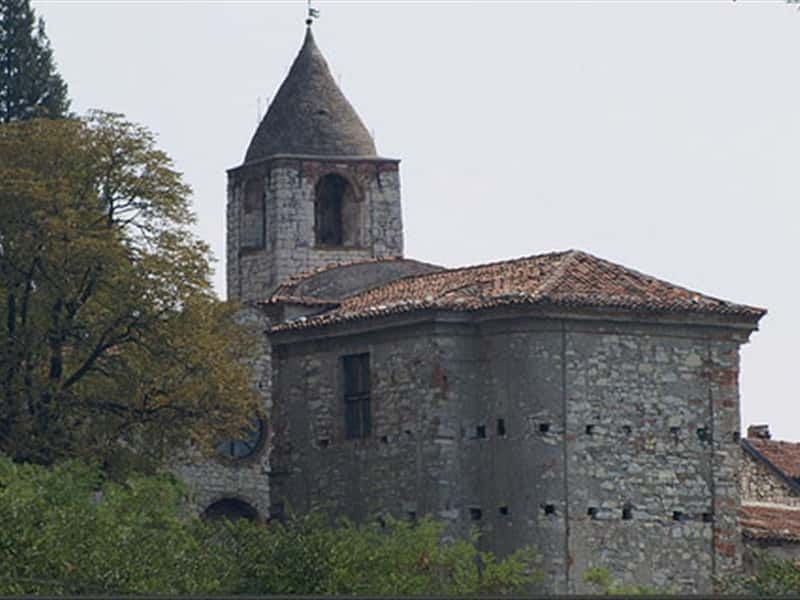 Municipality of Franciacorta, near Brescia, Provaglio Iseo is located at the foot of Mount Cognolio at short distance from Natural Reserve of the Torbiere del Serbino and Lake Iseo. The town's name derives from the Latin "prope Vallemar", close to the valley, with reference to the basin of Lake Iseo. The discovery of the remains of a dwelling villages here certify that the area was inhabited since prehistoric times, other findings also attest to the passage of the Roman rule in these lands. In the middle of the peatland stands the monastery of San Pietro in Lamosa, a complex of public and religious buildings located on a hill and erected to survey the area, once swampy (which hence the name Lamosa). The oldest centre dates from the XI century and was built where once stood a Roman temple dedicated to Mithras. The Monastery was enlarged later by the monks of Cluny, and then, it passed under the control of the Regular Canons of San Salvatore of Brescia. Since 1783, the whole building is privately owned. Interesting are the frescoes of the life of Jesus by an unknown author, and the Baroque chapel opposite the entrance to the monastery. Other sites of interest are: the Shrine of Our Lady of the Horn (XVI century), the Parish Church of Saints Peter and Paul, with frescos of Teosa and an altarpiece of Basiletti, the Church of Saint Apollonia, the Church of San Filastrio with an altarpiece by Moretto, the remains of the castle and Palace Francesconi, the current seat of City Hall. This town web page has been visited 32,055 times.